This weekend I’d like to encourage people to come over to my neighborhood to check out SoWa First Fridays (this is a great date night option), SoWa Art Walk (Saturday & Sunday) and definitely check out the first SoWa Open Market of 2018 on Sunday, which this year will have the “SoWa Beer Barn”. In addition to these events happening in SoWa, north of Boston is the 10th Mass Poetry Festival in Salem, and Boston’s taco festival runs all day on Saturday in Government Center. 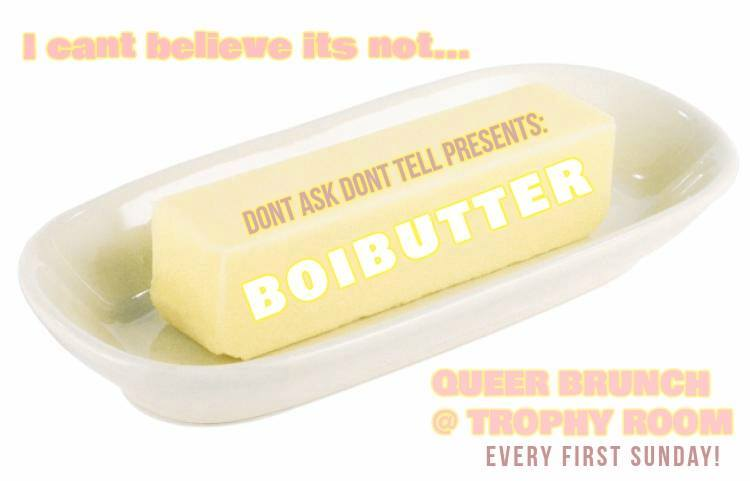 Cap off the weekend by attending either Verna Turbulence’s Drag Brunch at Club Cafe, which raises money for the Boston Living Center in Boston or head over to Trophy Room for their DADT Boi Butter Brunch. 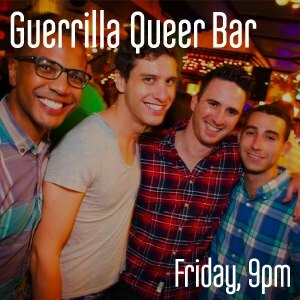 Guerrilla Queer Bar (GQB) takes over a traditionally “straight” bar the first Friday of each month – later this week the destination will be shared.